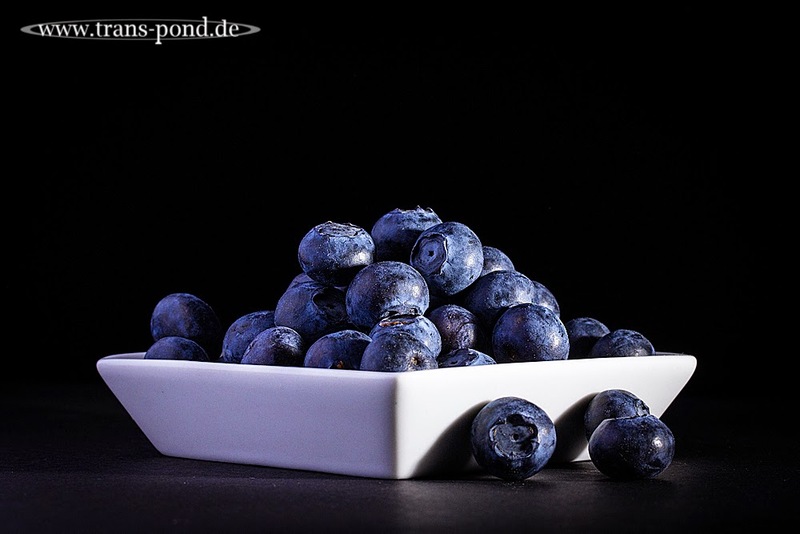 I photographed the blueberries not by themselves but in a white ceramic bowl to make them stand out from the background but still keep the dark and moody image effect. This image is lit with the same snoot as before but not with a constant light on the left but with a large white reflector. This gave me a sharper light on the right and a softer, more even light on the left.